Home · News · Nature · City Nature Challenge 2019: Calling All Nature Lovers! Do you love nature? Would you like to help document the fantastic variety of flora and fauna that can be found in Philadelphia? If so, come on out and get involved in the 2019 City Nature Challenge! Between April 26 and April 29, 2019, Philadelphia and its adjacent counties will be competing against other cities in the world to see who can find the most species in their regions. 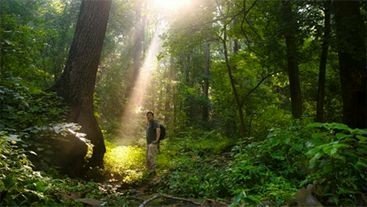 If you are interested in contributing and helping Philly win, download the iNaturalist app (or visit the website) and start documenting the wildlife in your area. You can also visit the City Nature Challenge project page to see the latest observations as they come in. Bioblitz information will add to our habitat data collection efforts as part of FOW’s Ecological Land Management Plan. This information will help us identify best land management practices to conserve habitat throughout the Wissahickon Valley Park. Anyone with the iNaturalist app can take part in the challenge between Friday, April 26 and Monday, April 29. Here’s some helpful hints for exploring and making observations on your own. This challenge is a great opportunity for nature lovers of all levels of knowledge to come out, explore the area, and learn something. Please remember that you don’t have to be able to identify what you’re recording. Simply by making observations and adding them to iNaturalist, you will be playing an important part in this fantastic citizen science project!